Remember the heady days of 2014 when you couldn’t log on to Facebook or Twitter without being challenged to dump a freezing cold bucket of ice water over yourself? 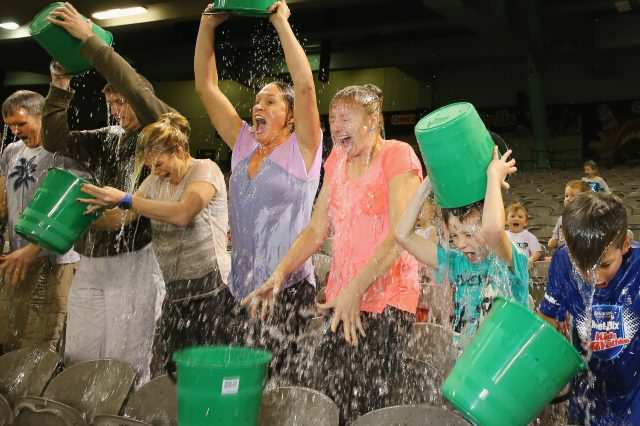 Well it turns out that those funny videos of people drenching themselves for charity actually helped to fund a breakthrough in research into Motor Neurone Disease (ALS). Researchers at UMass Medical School, who were looking into the degenerative disease, have discovered a gene which is associated with ALS which may lead to potential treatments in the future, The Telegraph reports. $1million was donated to the team who discovered the gene by the ALS Association who were one of the main recipients of cash raised by the Ice Bucket Challenge. The executive vice-president of communications and development at the ALS Association, Brian Frederick, spoke of his excitement at the donations. It’s very exciting because it shows everyone who contributed to the Ice Bucket Challenge that their donation had an impact on the research. The work that Project MinE is doing is really important, and the discovery of this new gene will help us better understand ALS. 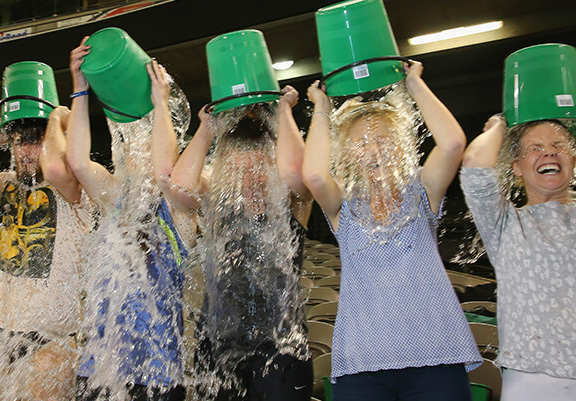 The Ice Bucket Challenge raised an amazing $115million (£87m) through donations over an eight-week period in 2014. Of that money $77m (£58m) was dedicated to research, advancing the search for treatments and a cure of the disease. Well done to all who took part!